Popular country gospel group Live Issue are coming to Ruskington, it has been announced. 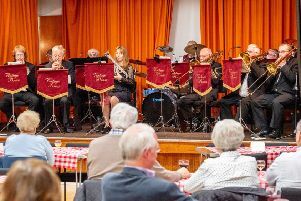 The five-piece play Ruskington Methodist Church on Saturday, April 18, at 7.30pm. Since forming in 2006, Live Issue have released four albums, a DVD and undertaken three tours of the US. They lay claim to being the first act from Ireland to perform on the stage of the Grand Ole Opry, in Nashville. Admission for April 18’s concert is free.